Summary: Many life experts may try to convince you and I that there is other ways to have a full existence in this life but truly the only way is to be prepared for life through accepting what Jesus Christ accomplished on the cross at Calvary. This morning we will refer back to our text from last Sunday found in 1st Kings chapter 17 concerning the miracle of the barrel of meal and the cruse of oil. In that scripture we find a statement that was made by the widow. The two sticks in this message as I said last week represent the cross. Notice the specific nature of the Word of God here on the number of sticks. With that in mind this morning let’s look at the importance of the two sticks in this account. The two sticks were to serve multiple purposes. 1. The two sticks were essential for the preparing of the bread. The cross this morning is essential for our miracle. The cross this morning is essential for our victory. The cross this morning is essential for preparing us for eternal life with Jesus. In fact God made the way through the cross and the only way for our sins to be forgiven. 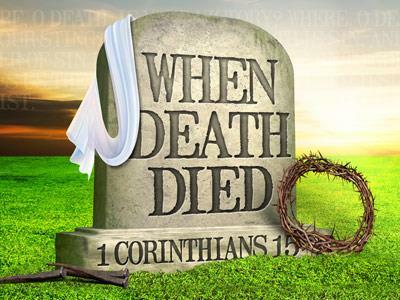 Many life experts may try to convince you and I that there is other ways to have a full existence in this life but truly the only way is to be prepared for life through accepting what Jesus Christ accomplished on the cross at Calvary. All preparation was made at Calvary for the perfect sacrifice. All preparation was made at the cross for our salvation, our healing, our peace and our transgressions. If you have accepted Jesus Christ and his death on the cross as savior and truth then you are saved! 2.The two sticks were for stirring the meal and what oil or water she would need to add. To reconcile some moisture with the dry substance. We are reconciled to God by way of the cross. God was setting up a way to reunite us with him by choosing the cross for his sacrifice. The cross made it possible that we can now have the Holy Spirit blended into this natural man or woman. Before the cross man and God were separated for the most part. But now by a living and better way we can have access to God and he has access to us through the Holy Spirit. Am I saying that without the cross there is no way God can communicate with me? Without the cross there is no access to God. 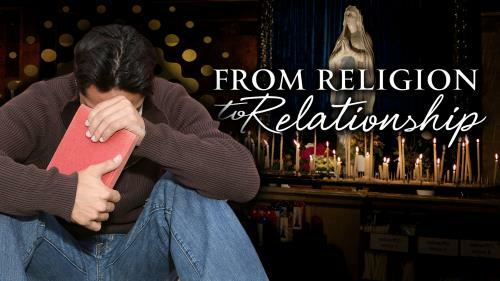 When the Holy Spirit deals with a lost person it is for one reason and that reason is to draw them to the cross where reconciliation can be made.